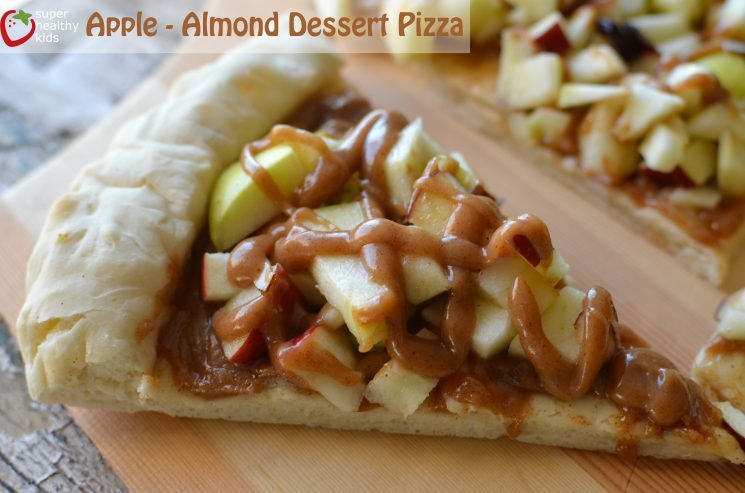 If you are looking for a dessert pizza recipe that will still have some nutrition, this is the one for you. But back to the pizza! Adding apples to dessert pizza is a great way to get a bit more fiber, even though you are eating dessert. And after all, fruit makes the best desserts any way. So, we started with your standard pizza crust. 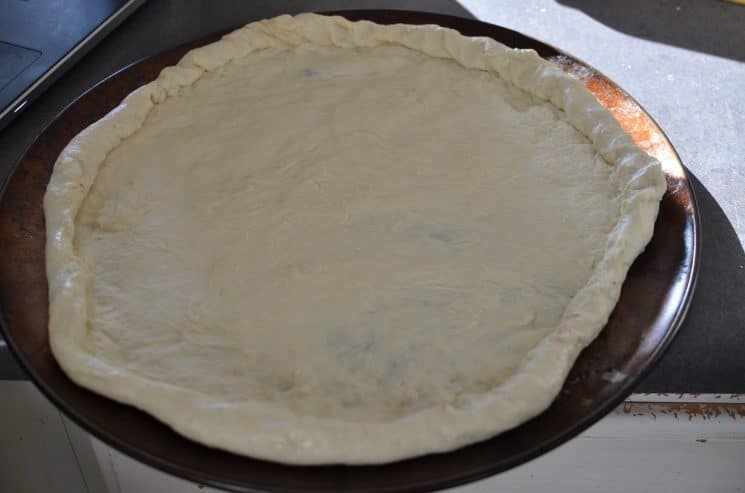 You can purchase a pre-made pizza crust, but it’s my opinion making your own is actually quite easy! 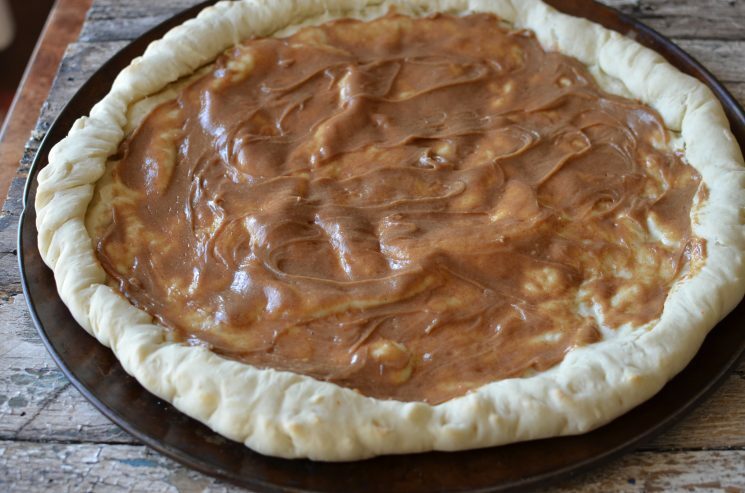 We use this recipe for pizza crust. This time when we made it, I obviously used all white flour, but we’ve also used all whole wheat flour as well. Then, we completely cooked the crust! If you decide to make this dessert pizza, great. But if you don’t, promise me you’ll at least try this almond butter and maple syrup combo??? 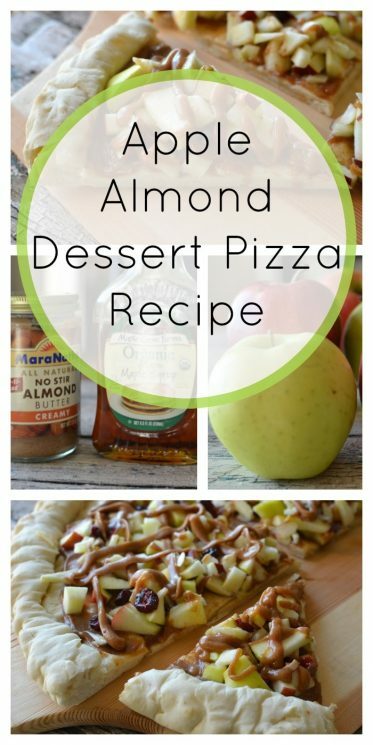 You will think you’ve died and gone to almond heaven! 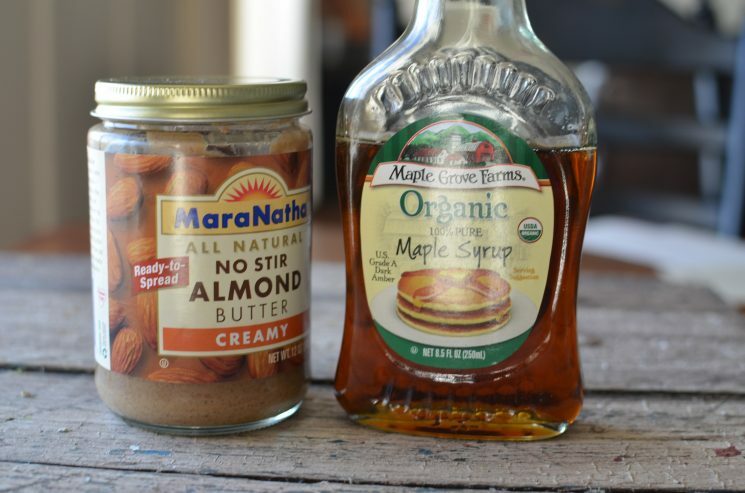 Mix 1/4 cup almond butter, 1/4 cup maple syrup, and almond extract together. 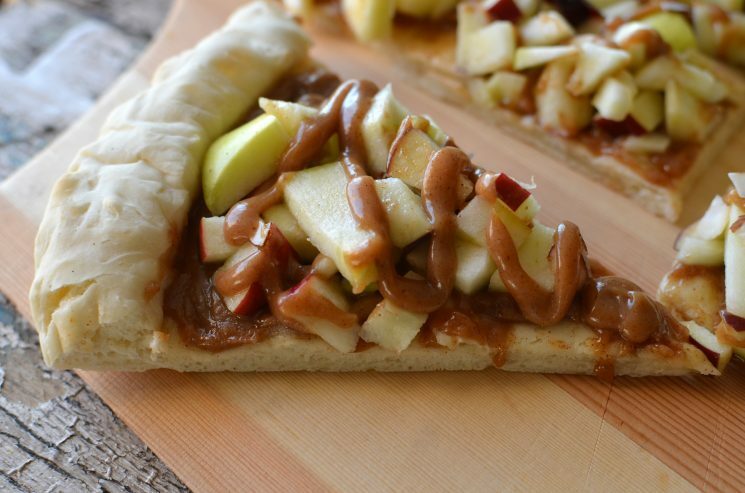 Spread over pizza crust. 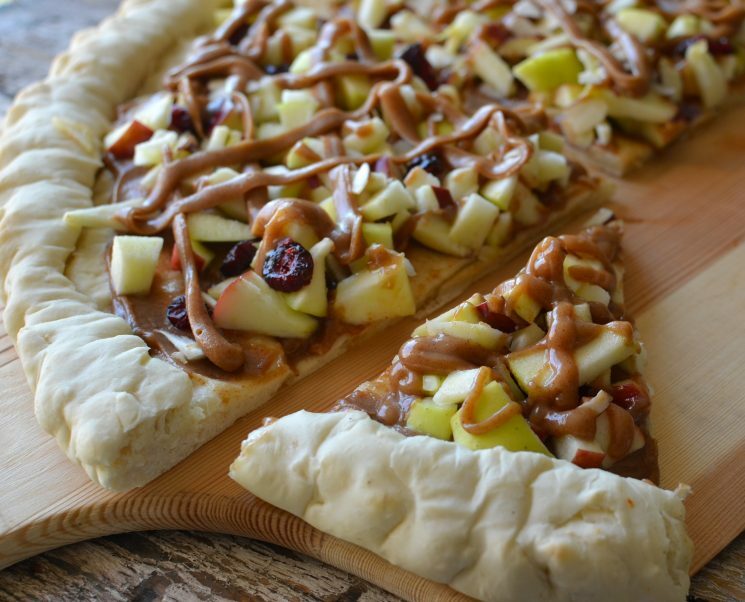 Sprinkle apple chunks, dried cranberries, and sliced almonds over almond butter spread. Mix remaining almond butter and 1/3 cup maple syrup together. Add more maple syrup if it isn’t runny enough to drizzle. 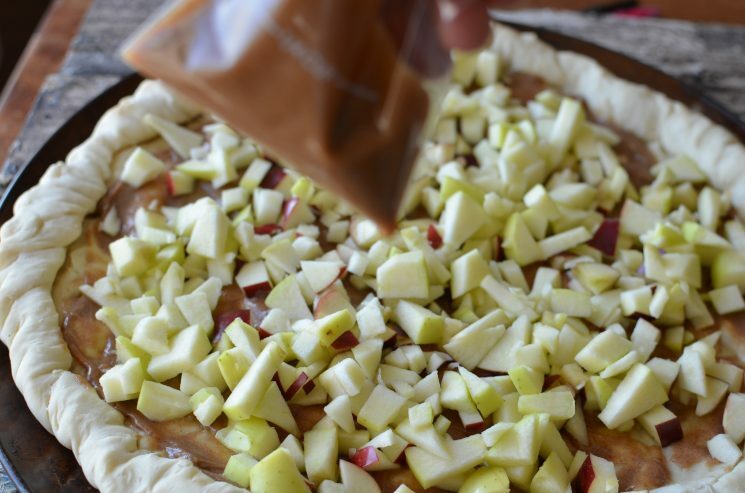 once runny, drizzle over apples. This looks seriously amazing! I’m going to have to try this one soon! 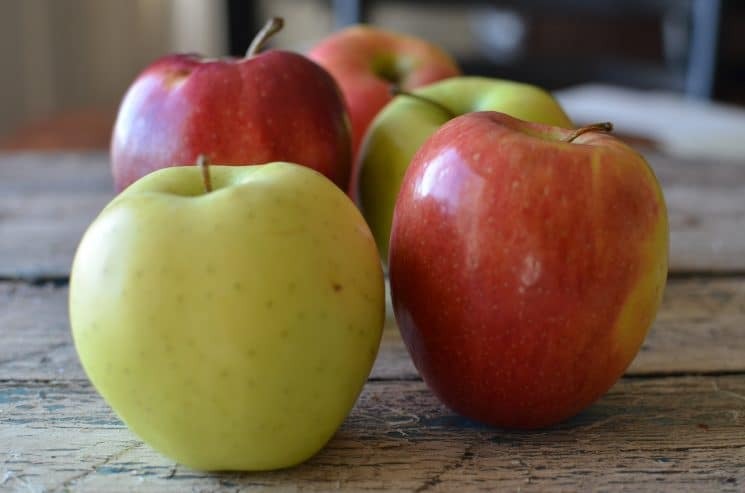 How do you prevent the apple to turn brown but not using lemon juice.? Do you make the ‘pizza’ crust yourself? Oops, of course I see the link now! 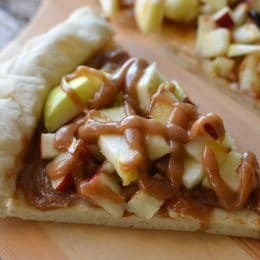 Looks so yummy, i have everything to make this, so will be trying soon! Can you make this the night before? Or is it a better item to eat fresh? You could make the crust ahead of time Rebecca! Then, put it together the next day! I made this today and it’s amazing! My dough was a little thick but I’ll definitely make it again!